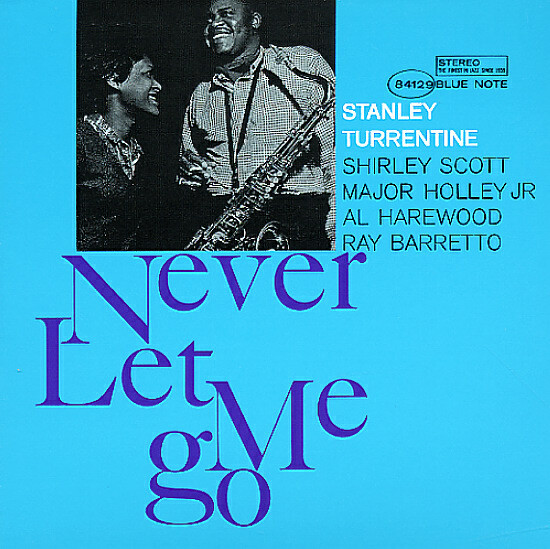 Sweet and soulful early work from Stanley Turrentine – one of the few albums he recorded in the early 60s with wife Shirley Scott – then one of the greatest female organ players in the business! The album's got a easy going soul jazz feel that's a lot like the work the pair cut for Prestige – with great organ rhythms from Scott, and some additional conga from Ray Barretto – cooking up the rhythm section a bit more than usual! Titles include "Never Let Me Go", "Sara's Dance", "Trouble", and "Major's Minor" plus the bonus track "They Can't Take That Away From Me". © 1996-2019, Dusty Groove, Inc.